Serious Sam 3 VR: BFE [Steam] is another Virtual Reality title with same-day Linux support from Croteam, so those of you with expensive headsets can make things go boom! You know what's really awesome though? It has full Serious Sam Fusion 2017 integration (what Croteam are lovingly calling the "pancake version" to the VR folk), meaning those of us without a VR headset can play against those that do. Also, I love Croteam for such simple reasons like their feature list "Now available in glorious VR! - "basically the same game but the devs just ticked a magical checkbox for VR"—hah! They have a great sense of humour. 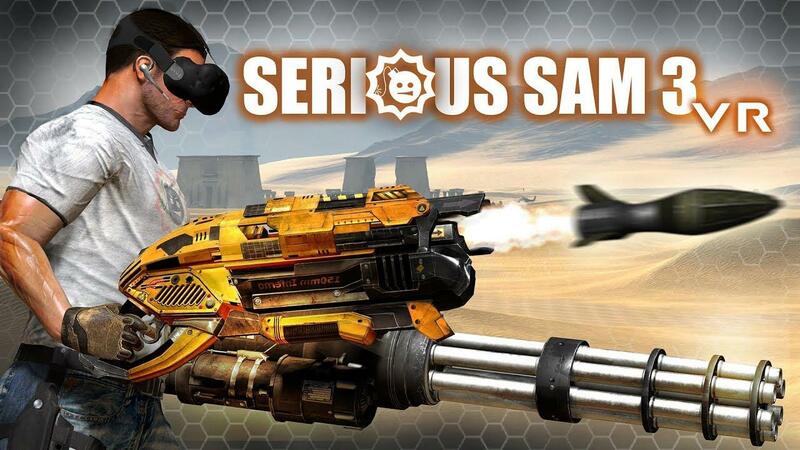 Serving as a prequel to the original indie and Game of the Year sensation, Serious Sam: The First Encounter, Serious Sam 3 VR: BFE takes place during the Earth’s final struggle against Mental’s invading legions of beasts and mercenaries. I will buy it today i will make some movie. If I only needed to buy a vive to start off... Neither my desktop pc, nor my steam machine seem to be well equipped enough to run anything. It would be awesome to hear from somebody who has run these Croteam VR games on Linux, to know if it's a viable option yet? What is the performance and stability like currently? As an AMD user, the current experience is still nausea inducing. Mostly due to Linux missing features like direct-mode rendering (to reduce latency, prevent tearing and improve the user experience) and GPU priority scheduling (so the compositor isn't competing with the game for resources) that are still in development. Valve has been funding a lot of great work, but we'll probably have to wait until next year for all those pieces to start falling into place.